What made you want to join the 501st? 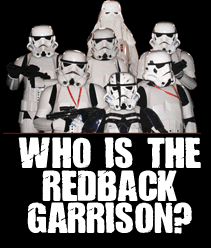 My son inspired me to join the legion when I saw him have a great time meeting members of the redbacks. He was being bullied at school and I thought it would be a great environment for him to meet and make new friends. He joined the Galactic academy and I became a full member 4 years ago. 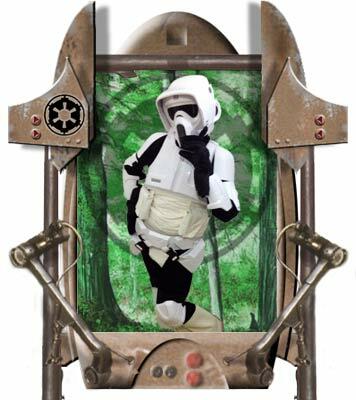 I also have 2 rebel legion costumes, but I love making 501st costumes, although I don’t have as many as others I have really enjoyed making a lot for others, don’t ask how many I’ve made, I’ve lost count! What is your most memorable troop? Dreamworld and the Variety Kids Christmas Party. What is your favourite Star Wars character? Chewbacca. This entry was posted on Tuesday, November 15th, 2016 at 6:00 am	and is filed under Trooper Spotlight. You can follow any responses to this entry through the RSS 2.0 feed. Both comments and pings are currently closed.